The driver in the white car is definitely one lucky person... take a look at how a massive boulder just misses the car by a few inches. Our hats off to this driver that prevented a massive accident. Checkout the other two angles of the same accident inside. Wow! What an insane crash at Pikes Peak International Hill Climb. Makes your really appreciate what a well built roll cage can do during extreme circumstances. 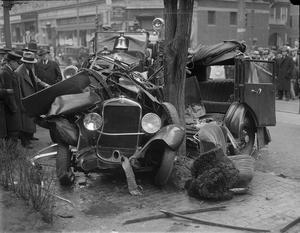 Neither Foley nor his co-driver, Yuri, broke any bones in the accident. Foley exited the Evo 8 under his own power and Yuri injured his shoulder in what may be a dislocation. The continuation to our first post about the coolest animated GIF images. There are lots of sports themed ones in this one. Enjoy our findings and share! 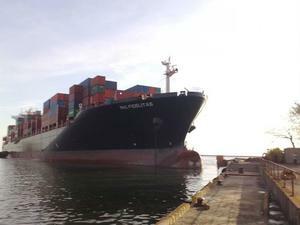 Recently in a port in Odessa, Ukraine a large tanker failed to dock safely. Look at the destruction it left when it hit the concrete dock. Some people are literally born with so much luck. 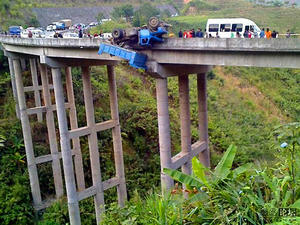 This truck driver even this time cheated death and stay alive only hanging on single truck tire. Lucky much?